When a RainSoft water conditioner is installed for Columbus, Ohio, homeowners, they are sometimes surprised to discover that we also install a water filter system for the home along with it. These two products work together to provide the home with better quality water that rinses more cleanly. In fact, many Columbus homeowners have a home water filter as a standalone product. RainSoft problem-solving filters treat issues in water such as cloudiness from sediment, odors caused by sulfur, and the presence of substances such as iron and nitrates. When these substances are removed from the water prior to entering the water conditioner, it allows the conditioner to work more effectively. The water filter does not remove hard minerals such as calcium and magnesium, however, and these elements are what cause the water to be hard. When water enters the conditioner, it is passed over beads that contain sodium or potassium ions, and these ions are exchanged for the hard mineral ions. If the water were to still contain the contaminants previously removed by the filter, then this ion exchange would not happen as efficiently. It could also lead to the sodium or potassium beads needing more frequent recharging, thus diminishing the overall life of the water conditioner. When the water conditioner is fed with filtered water, the result is cleaner, softer water that has many benefits for your household. Soft water rinses more cleanly, won’t leave soap scum build up on sinks and tubs, and also lengthens the life of water-using appliances. 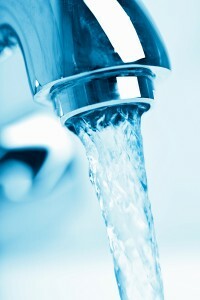 If you have noticed that your water seems to have problems, such as cloudiness and odors, or if it seems to be hard water, contact your local RainSoft dealer today to schedule a complimentary in-home water test at your Columbus, OH home to see if a water conditioner and filter combination is right for you.